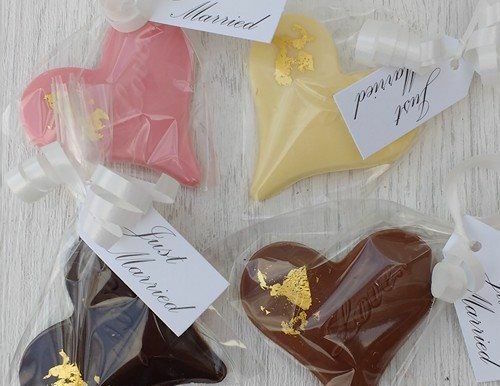 Belgian Chocolate Hearts. Adorned with gold or Silver leaf. 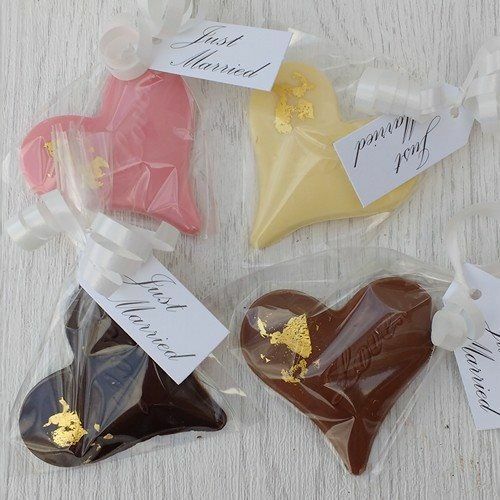 Belgian chocolate hearts, with gold or silver leaf. 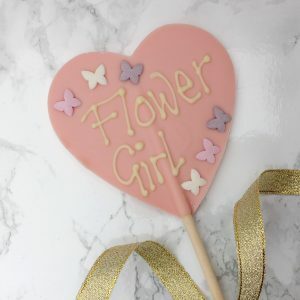 These make amazing wedding favours, and we are proud to say they were featured in Brides UK magazine this year in an article named “Favours your guests actually want”. Who are we to argue? 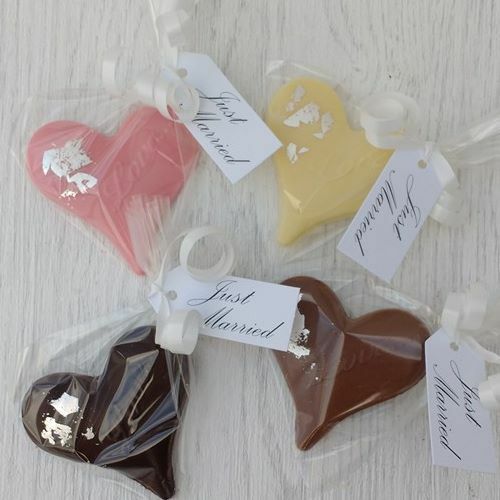 You will receive 1 x heart in each bag, which is then tied with white ribbon and finished off with either a just married tag. 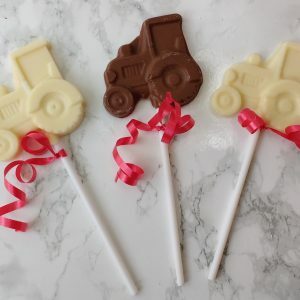 We have milk, white, dark and strawberry chocolate. 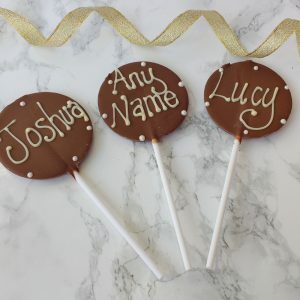 You can chose just one flavour, or a selection of any flavour combination that you would like. Finished with your choice of gold or silver leaf. 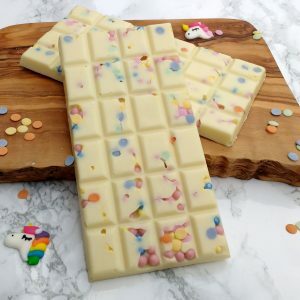 Ingredients: Chocolate (Milk, Sugar, Cocoa mass, Cocoa butter, Vanilla, Soya lecithin). 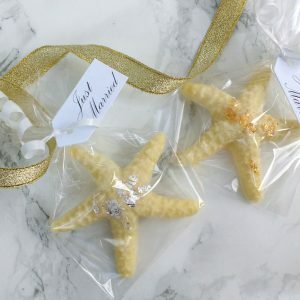 Had these at my wedding. Everyone loved them! Delicious! Couldnt recommend them more!! Thank you so much!